Instagram is very visual; users put up videos and pictures on this social media platform. 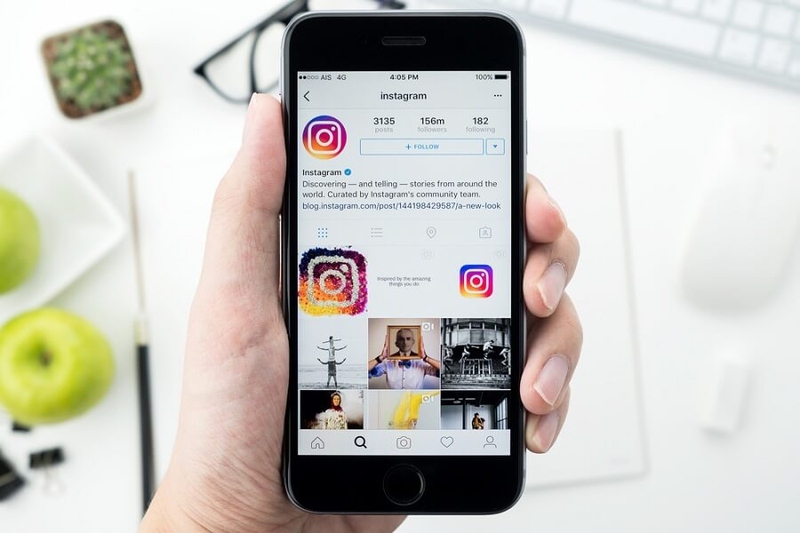 At first, it was used just for entertainment, but businesses are now seeing the value in using Instagram for marketing purposes as well. Instagram is a great tool to help you get the word out about a service or a product. It can also help to shape your online image and help you connect with potential customers. If you do not currently have an Instagram account, it is something you should consider setting up. But, what do you need to do to secure followers? Here is some advice that should help. Hashtags are important on Instagram. A hashtag is a word or a phrase that is preceded by the # sign. When you put up a hashtag, the text that you write can be clicked on and searched for. Both letters and numbers are acceptable when writing out a hashtag. However, you cannot put spaces in between words. All of your text needs to run together in one continuous stream. If you want to make different words stand out, use capital letters to denote when a new word begins. This will help people figure out what you are trying to say. You can have as many as thirty hashtags in each post that you put up. Your hashtag serves several functions. As mentioned earlier, it is a link. It is also a keyword. That is why you need to put some thought into your hashtags. They will help bring your target market to you. For instance, if you want to discuss one of your new products, you can create a hashtag that includes the company name and the product name. You can also put other hashtags in the post that are more generic, like #brand. If someone wants to purchase a product that is similar to yours, they should be able to find it if you use the right hashtags. Generic hashtags are important to include because they will help you connect with your target market. A website like Websta will give you insight on which tags and keywords could benefit you. Since these tags are not specific to your company, they will help other people find you that are simply looking around online. It's a great way to get followers. For instance, pretend that you create jewelry. You just came up with a few pieces that you think are perfect for young, twenty-something women. The first step is to photograph your jewelry. Then, put it on Instagram and add hashtags. Put your specific hashtag along with other generic ones, like #unique, #gift, and #fashionable. If someone searches for those words, they will see your picture and might decide to start following you. Because you can have as many as thirty hashtags in a post, you should not worry about adding a bunch. Hashtagify.me gives tips on how popular a tag is and lets you know what other tags people are pairing with it. Trendsmap helps you look for tags that are popular in your specific area. RiteTag allows you to evaluate a tag by noting how weak or strong it is. If you use hashtags correctly, you can gain followers at a rapid pace. First, figure out how you want to appear online. What is your target market? What do they do on Instagram? How can you get them excited about your products? Once you answer these questions, you can set up your bio and your image to reflect those answers. Next, make sure you put up posts on a regular basis. You should have something new up at least one time per day. However, make sure your posts are quality; they should provide value in some way. Become more familiar with filters. These allow you to edit your images, and they are very useful on Instagram. This is because pictures with high contrast or warm tones stand out more. If a filter helps you to accomplish that look, you are a step ahead. Adding more views to an account has been proven to get more people to view an image. This is because popularity creates greater popularity. Get the word out about what you are doing on Instagram on other social media sites, like Facebook and Twitter. Doing so will only help your efforts to gain followers succeed. Instagram is really not that complicated and it is a great way to help your business succeed. The tips included here will help you to gain more followers, so that you can keep doing what you love. I want to develop mindset of online writing and polish my skills and knowledge. Server responsed at: 04/24/2019 10:23 p.m.